With a high spec, this smartphone Android 4.1 Jelly Bean ready to hit the Android high-end-class competitors. Features like: the Qualcomm Snapdragon S4 Pro quadcore 1.5 GHz, Android Jelly Bean, True HD IPS+ screen WXGA 4.7-inch (1280×768 pixels), 32GB storage, 2GB RAM, 13MP camera, 1.3 MP front, Bluetooth connectivity 4.0, Wi-Fi, USB2.0, A-GPS, MHL, DLNA, NFC, 2100 mAh battery, thinness 8.45 mm and weighs 145 grams. What about the performance of this smartphone priced at US$675 ? Read this full performance review LG Optimus G.
If the Nexus 4 as representing breeds Nexus series with curves at the top and bottom of the phone, the Optimus LG G has a distinctive shape, like the Optimus 4X, with rigid forms and phone box on the side, causing convenience while holding the phone somewhat diminished. In the body itself derived of this mobile phone feels quite luxurious, although it is still glossy, but the rear made ​​like glass, like the iPhone 4, but is more attractive because there are patterns that change depending on viewing angle and lighting, such as the Nexus 4. LG call it the Crystal Reflection Finish. The front part of this mobile phone glossy black and properly smartphones in general. All around there are two bezel are made from stainless steel like. Below the screen there are three touch sensitive buttons, a row: Back, Home and Menu. 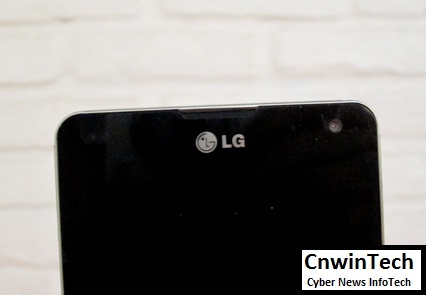 While at the top of the screen, in addition to the earpiece, the LG logo and a front camera, there are LED notification light. On the left side there are volume buttons and Sim card port with needle puncture system to open. Right side there are lock/power keys, while at the top there is a 3.5 mm audio jack. At the bottom, there is a micro USB port. 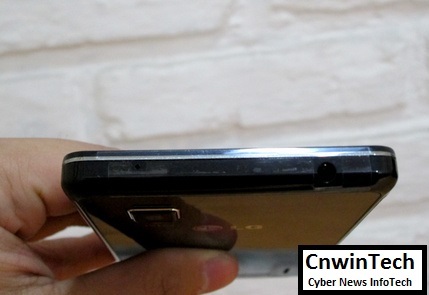 At the bottom there are also two bolts on either side of the Optimus G body locking. In other words, this phone battery are non-removable. Screen parts on the Nexus 4 are often highlighted because they are less good than LCD / IPS screen smartphone upscale like HTC One X or the iPhone 5. 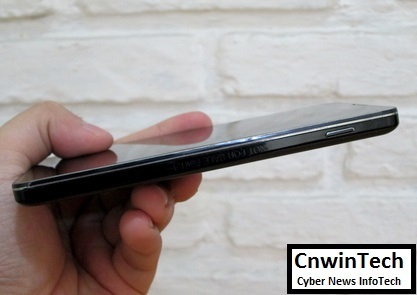 However, for the Optimus G, the screen are equally 1280×768 pixel resolution more eye-candy than the Nexus 4. Saturated high enough, even though we feel the contrast level to the iPhone 5 and HTC One X better. 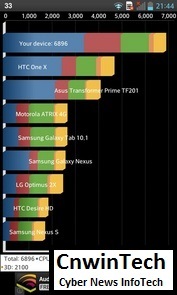 Optimus G screen still feels over-brightness, though not as severe as the Nexus 4. Good viewpoint in any direction, compared with a range of Sony Xperia. The white color on the Optimus G naturally looks white, not yellowish like most LCD or bluish as AMOLED type. The level of black gloom of the phone is also considered very good for the size of the LCD, although it is still less than the AMOLED type. Overall, with frills True HD IPS+ and Zerogap Touch which claimed to juxtapose the screens on the user touch and make the mobile phone slimmer. Overall, you could say this is the best LG cell phone screens today. 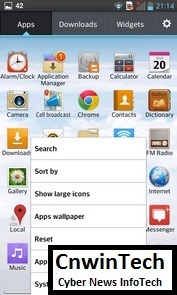 By using the Optimus UI, a lot of additional features that LG given for Android phones 4.1 Jelly Bean, both for cosmetic / appearance and productivity. From the lock screen it was already evident. 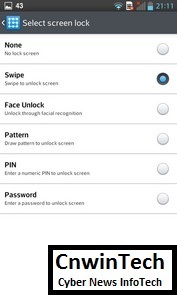 There are several models to choose from lockscreen, such as: Swipe (default), Face Unlock, Pattern, PIN and Password. 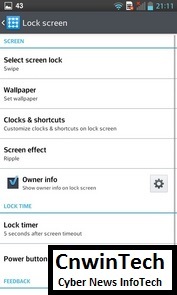 Lockscreen can be paired clock and shortcuts, owner info, as well as your own wallpaper different from wallpaper homescreen. 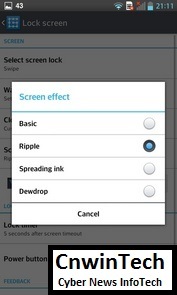 There are some effects when unlocking the screens to choose from, such as Basic, Ripple, Spreading ink and Dewdrop. 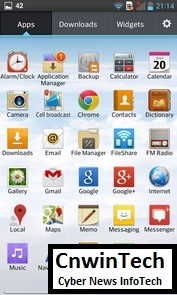 Homescreen consists of a maximum of 7 pages. For the default homescreen you can choose one of 7 pages, not have to be in the middle. Press the Home button a bit longer and you will be brought to the task switcher. You can set whether scrolling can be either circular or not. 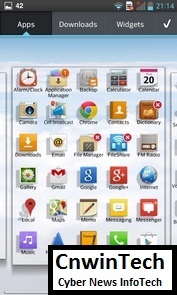 Homescreen can add app shortcuts, widgets (resizeable) and wallpaper. 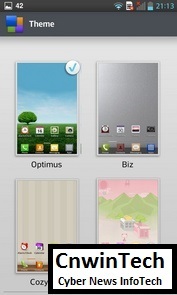 There are several themes to choose from, like the optimus (default), Biz, Cozywall and Marshmallow. Each theme has a color accents and application shortcut icons vary. 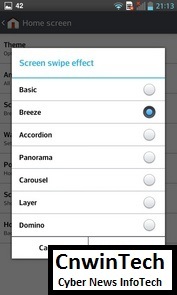 For the settings, there is a menu effect when doing a sweep on the homescreen, such as breeze, dominoes, panoramas and others. Interestingly, you can make the home screen change orientation to landscape when tilting the phone. 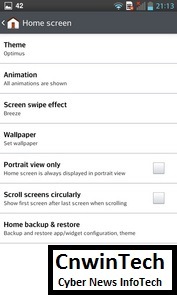 Settings you make on the homescreen could be backup, and then you can restore it whenever you need it. On the main menu, by default the application is composed of 4 columns and 5 rows, however utilizing the screen size, you can choose to display the icons much more so into 5 columns and 6 rows. 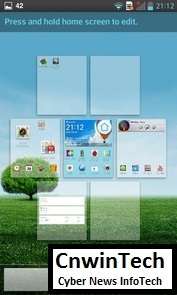 The main menu is divided into Apps, Downloads and Widgets. 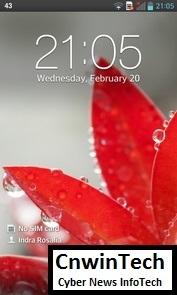 As in lockscreen and homescreen, you can use your own wallpaper for the main menu. Applications can be arranged alphabetically or date of installation. Regarding zoom transparent notification bar rather dark with lots of features. 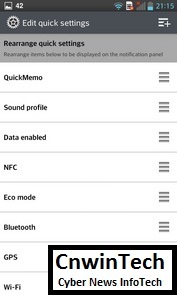 There are many shortcuts Quick Toggle such as Quick Memo, Sound, Data, NFC, Eco Mode, WiFi and Bluetooth and many more, a total of 14 quick toggle, you can edit the order and eliminate unnecessary quick toggle. 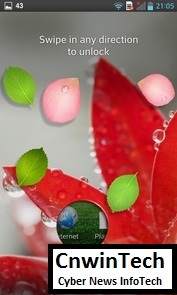 In addition, there is also a notification in the bar screen brightness settings and applications Qslide. For the settings, Optimus G has a lot of settings interface. For example, models of letters, there are several to choose from, you can change the default font Roboto to LG SmartGothic, HYSerif, HYTravel and 4 other fonts. Then there is setting the brightness, screen timeout, auto-rotate, as well as the Smart Screen. The latter is similar to the Stay Smart features allow the screen lights up when the front camera detects your eyes look toward the screen. 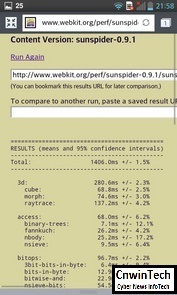 Regarding performance, outstanding. LG Optimus G has a very smooth performance, helped by Project Butter on Android 4.2 and hardware combination used these phones. 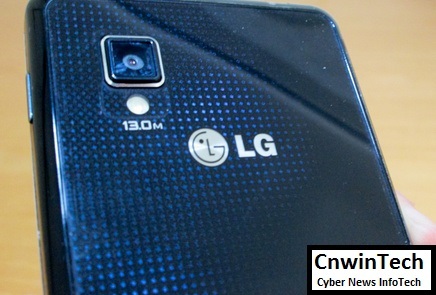 This is one excellent feature on the LG smartphone, since Optimus 4X and Vu. 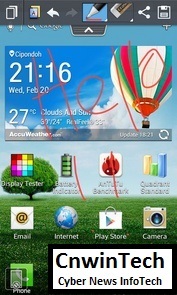 Unlike the memo / note in the Galaxy Note (prior screenshot, then edit) here you can directly edit the screen simply by opening the notification bar, select Quick Memo on quick toggle and the screen is ready for the stripped-streak. There are several types of graffiti tools ie pen, markers and highlighters. Indeed, the features and quality streaks losing with the Galaxy Note, but the Quick Memo app is much more practical. For example, this feature can be used in overlay (in disabled state but your graffiti still look at the user interface), so for example when you are told by your friends about account number, the faster you can type it first in the Quick Memo which can be directly crossed with fingers and then copied or mailed. The trend for super smartphone is incredible multitasking capabilities. 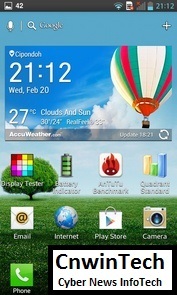 Of course, LG Optimus G has that ability. 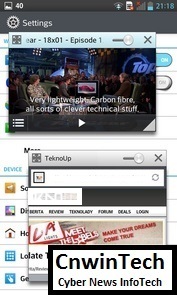 Qslide feature can display two different apps simultaneously in one screen. 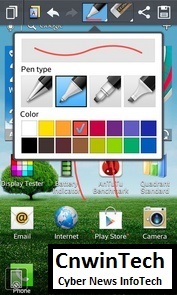 The amount of space for each application can be changed, unlike the Galaxy Note II that can be altered vertical only. So, as the application is minimized on the computer. Thus, 3-tasking can actually do, for example, see the SMS (apps in the background) while browsing the internet while watching the video. Interestingly, the overlay function can be done here, there is a bar to adjust the transparency of each application Qslide. But unfortunately only a few applications that support Qslide default, there are only 5 ie Video, Internet, Memos, Calendar and Calculator. Phone performance when running Qslide functions tend to remain smooth, not surprising since the use of 2GB of RAM and a grade processor on the Optimus G.
LG divides contact in the phone into 3 categories, Groups, contacts and favorites. Contacts can be synchronized with your Gmail account or social network accounts such as Facebook, Twitter and others. In conducting the search, edit and add contacts are all easy to do. Each contact can be added to photos and a special ringtone. Interestingly, there are features Screen Zooming on the contact list. 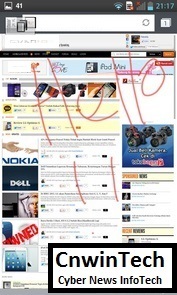 You can pinch the screen to the outside and inside to increase or decrease font size. 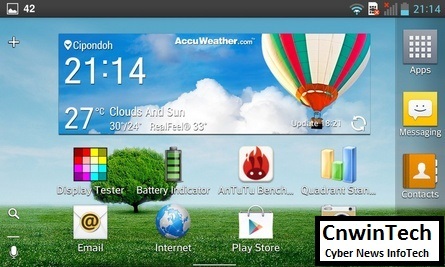 Messaging on the Optimus G standards only ie SMS, Email and Instant Messaging. 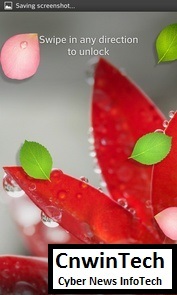 To SMS is easy to use as well as other Android phones, there are threaded format. What is unique is the skin feature, you can choose a background threaded SMS with several options. While you can use Gmail which has many similar features as the desktop version. Of course, you could also use another email client. Screen zooming feature is present on the SMS and email, but not the Gmail app. As for Instant Messaging Google Talk is available, other than that you can add an alternative to Google PlayStore such as Line, WhatsApp, YM, and so on. Input to writing have two methods ie Google voice typing and LG Keyboard. Existing arrangements such as auto-capitalize, auto-punctuation, word suggestions and feedback touch. There Keyboard Path feature, something like Swype. 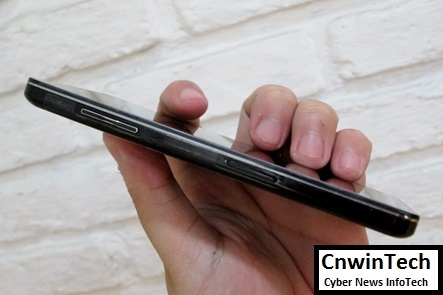 Despite using a wide screen 4.7 inches, for typing with one hand is a bit difficult, but no big deal, width of phone is still affordable to one hand. 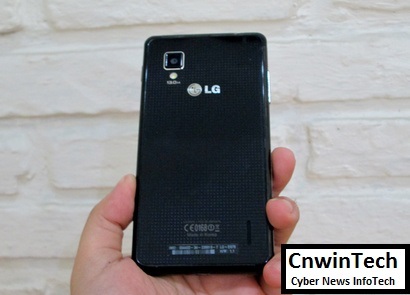 LG Optimus G embedded camera with highest resolution: 13MP. However, the resolution is only one factor that determines the quality of a photo of a camera, in addition to sensors, lenses, image processing, and so on. Beyond these factors, LG pinning many features to aid the camera from one of the super smartphone. Among others: Smart Shutter, Time Catch Shot and Voice Shutter. Smart Shutter adjust the shutter speed on the camera phone to get the image sharp and not blurry. Catch-time shot if activated will take 5 photos before you press the Capture button, you can then select the best. Then the Voice Shutter to take a picture by mentioning the word cheese, smile, LG, kimchi and Whisky. 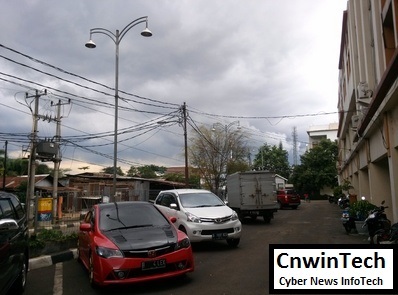 Other features: HDR, Panorama, Continuous shoot, setting brightness, facetracking, resolution, Scene Mode, ISO, white balance, color effects, a timer, geotagging, shutter sound. The focus of the camera can be based cont.AF, but can also use the touch. The two volume buttons can be used to shoot. Quick menu which appears on the left can be changed and modified composition. Camera Results frankly disappointing for this flagship smartphone size. Noise indoors or less lighting deeply felt, while the details of pictures less sharp, but has 13MP resolution used. However there is a possibility that this is due to our review unit was a prototype, I hope there is an improvement in the unit that will be released in the market. For video recording embedded feature certainly less. Among others: the resolution, Live Effect (silly face and background) built-in Android, brightness, white balance, color effects, geotagging and video recording. When recording, touch to focus does not apply. It is quite annoying if you move close to distant objects or vice versa, even more features continuous autofocus slowly. Unlike the camera, the video recording is pretty good and reliable. Video produced smooth, sharp and has a relatively natural color. Video duration 1 minute spent storage of 126MB, with high-bitrate files 14000kbps and framerate of 30 frames per second. 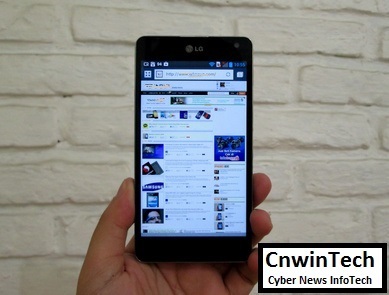 Photo gallery also includes a video using the standard album for Android were a little modified by LG. 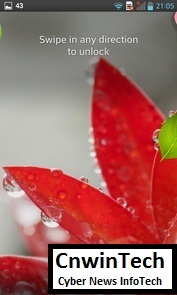 Photos shared by Album, location and date of capture. Interestingly, Screen zooming feature is also present here, so you can vary the size of thumbnail images with pinch to zoom. You can rename files, rotate photos, do cropping, simple editing and displaying image details are pretty much like camera model, focal length, ISO settings, etc.. Photos can instantly be shared via Bluetooth, email, social networks and others. 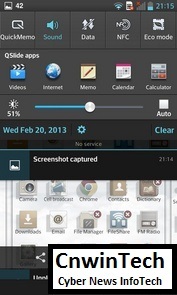 A dedicated video player present on the LG Optimus G. All videos are readable by mobile phones was collected here, although you can see them by folder. In addition to folders, existing videos displayed within list format and grid (thumbnail). Video formats that can be played with up to 1080p resolution smooth quite varied: mkv, wmv, avi and mp4. 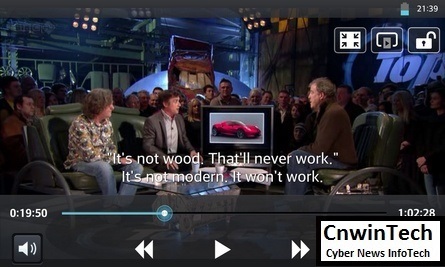 Subtitle format. Srt can be displayed, with some features and settings such as synchronization, font size and color. As at MX Video Player application, you can adjust the brightness of the screen while watching a video, with a sweep movement vertically. The touch screen can also be locked when playing video. Another feature, changing the aspect ratio of the video and of course minimize video with features Qslide so you can watch the video while doing other activities, complete with feature overlay/transparency level setting. 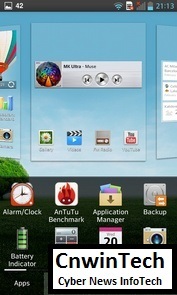 The music player on the Optimus G similar to Optimus 4X. Divided into five categories, Songs, Albums, Artists, Genres, Playlists and Folders. Playlist available and updated automatically is Most Played, Recently Played and Recently Added, and Favourites. In addition, of course, you can create your own playlists. You can make song ringtone, put into a playlist that you create yourself and shared via Bluetooth, Gmail, and MMS. You can see the lyrics of the song while playing the song. Sound output from the loudspeaker is quite tight, but nothing special, pretty shrill heard at the highest volume. In the notification bar controller music that is being played appears to help you when you minimize the music player. In addition there are advanced sleep timer and some audio effects like bass reducer, treble booster, bass booster, booster vocal, earphone enhancers. 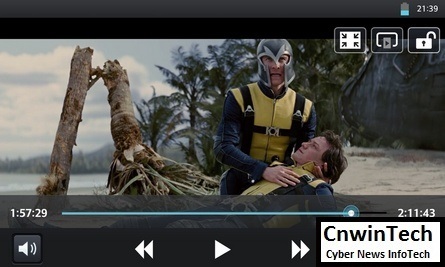 No lag effects such as Dolby Mobile video player. Also made your own custom equalizer. Required headset plugged in in order to able to play your LG Optimus G FM radio. 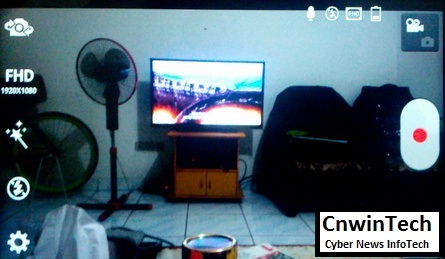 Miracast is a tool that allows screen mirroring LG Optimus G (or any other phone that supports it, Android 4.2 by default supports Miracast) to your TV wirelessly via WiFi. The trick, tool Miracast plug into the tv via hdmi, then connect to the electrical ports using micro usb charger, from your mobile phone to enable miracast, connect. But unfortunately the performance on TV somewhat broken and the response is rather long when compared to a conventional HDMI or MHL connection. Especially if you use this method Optimus G will not be utilizing WiFi internet networks around it, because it is used by WiFi Miracast to perform mirroring. 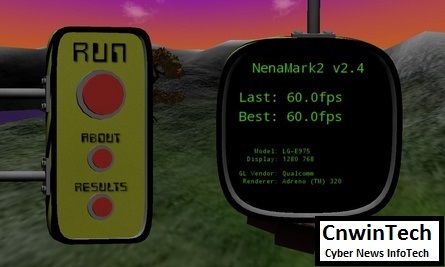 NenaMark 2: 60.0 frames per sec. Multitouch Tester: 10 touch max. 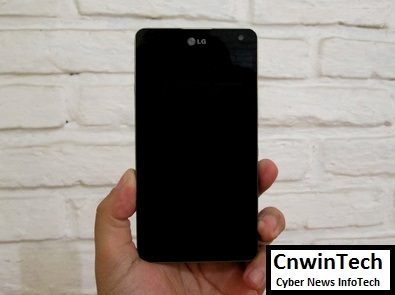 Equipped with a 2100 mAh battery capacity, durability LG Optimus G is pretty good. 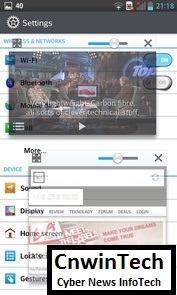 Used to do a series of screenshots that are used in this review, which means that almost all the features from the interface, QSlide, camera, multimedia, web browser and benchmarking are reviewed, with internet connected via WiFi, screen brightness level of 50 percent, the battery indicator decreased by 18 percent in 56 minutes. 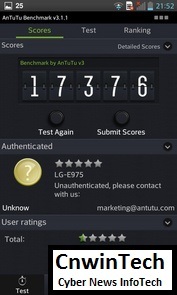 Until this review completed, the current best-performing Android phone that we’ve tested is this phone and LG Nexus 4. However, if you want a more powerful, you might be a little patient, due to flagship from the Sony Xperia Z and HTC One also very tempting, with a 1080p screen. Regarding Optimus G vs Nexus 4 (normal price of US$573), with the difference in price about 100 of bucks Optimus G certainly has the advantage on the features and interfaces are far more comprehensive than Google’s mobile phone. However, LG is expected to learn from ever before and could be faster in delivering the latest version of Android updates for this flagship, where that is just the reverse with Nexus 4 confirmed gets Android update as fast as most other Android devices. Against other current Android flagship like the Samsung Galaxy SIII (US$635) and HTC One X+ (US$699), frankly LG Optimus G (normal price of US$677) class is still above both of that phones. After you read review above, if you like this smartphone and considering to buy one, you can following the link below. Gmail Tap, How to Write an Fast Email ala Google?